Senator Al Franken told Jake Tapper on Sunday, that “Pocahontas,” President Trump’s nickname for Senator Elizabeth Warren is racist. Franken: I heard this from a couple of my colleagues who were there, and I–I would have said something. Tapper: What would have you said? Trump’s Pocahontas nickname is not a slight against Pocahontas or Native Americans, it’s an attack on Elizabeth Warren for lying about her background. According to The Boston Globe, back in 1984, Warren and members her family contributed recipes to a Native American cookbook, where she signed her name Elizabeth Warren, Cherokee. Then in 1986, Warren listed herself as a “minority” in the American Association of Law Schools’ directory of faculty, which is commonly used by recruiters. In the early 1990s, she was hired by Harvard as a law professor, and the university actually touted Warren’s phony ancestry. By 1995, once she had achieved tenure, Warren stopped listing herself as a minority. Of course after being exposed, Warren claimed that she didn’t know Harvard had used her unconfirmed heritage to appear more diverse. Warren also denied that she ever used her unproven lineage to gain a professional advantage. Instead of coming clean in 2012 during the height of the controversy, Warren continued to spin her Indian fairy tale. And here is the best part. 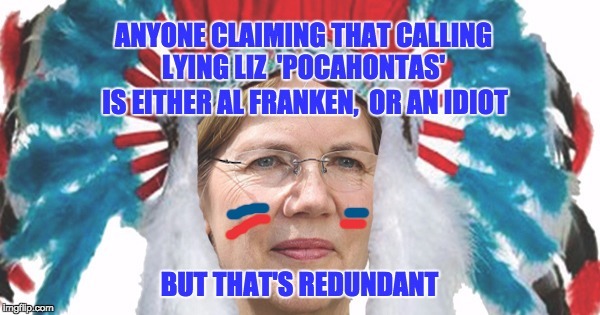 She based her claims of Native American ancestry on high cheekbones. 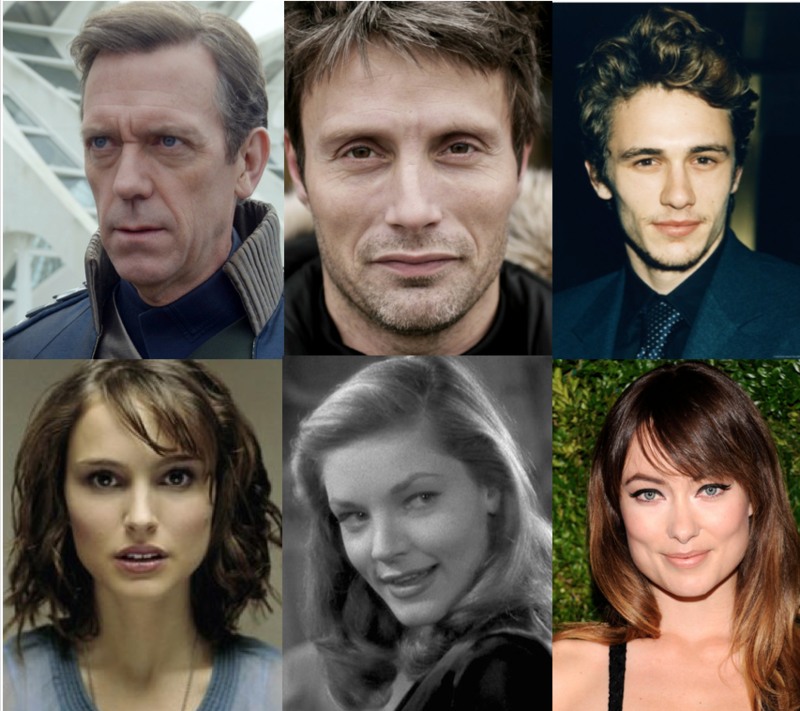 Well if high cheekbones makes one a Native American…here are some other Native Americans: Olivia Wilde (British background), Hugh Laurie (Scottish background), Lauren Bacal (Jewish-Romanian/Russian background), Mads Mikkelsen (Danish background), Natalie Portman (Israeli /Jewish background), James Franco (Russian Jewish, Portuguese and Swedish). Obviously despite their high cheekbones, the movie stars below are as Native American as…well.. Elizabeth Warren. Here’s the bottom line. President Trump’s nickname of Pocahontas for Elizabeth Warren is not even close to being racist, it has nothing to do with Native Americans, it’s all about pointing out that Elizabeth Warren, who as been spending the latest session of the Senate slandering the President’s cabinet picks, is a liar. Anyone who labels Pocahontas as racist is either a political hack, idiot, or Al Franken, but then I repeat myself. One more thing: While some may suggest that Tapper served up Franken to blast Trump, it was a legitimate question to Franken who some say is trying to become the “face” of the party about his potential competition. Franken never did answer Tapper’s question, instead turned it into a Trump slam. When one thinks about it, Al Franken must be a racist. After all if there is one thing we learned from the Democrats during the Obama administration, is any criticism of the President is racist. Below is a video of the Franken comment.